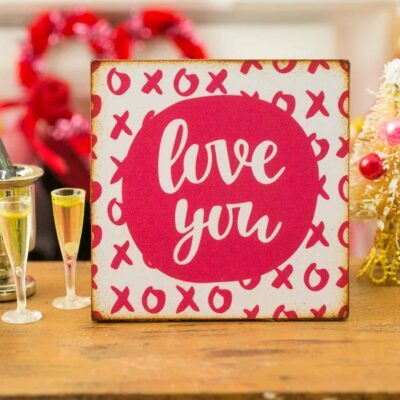 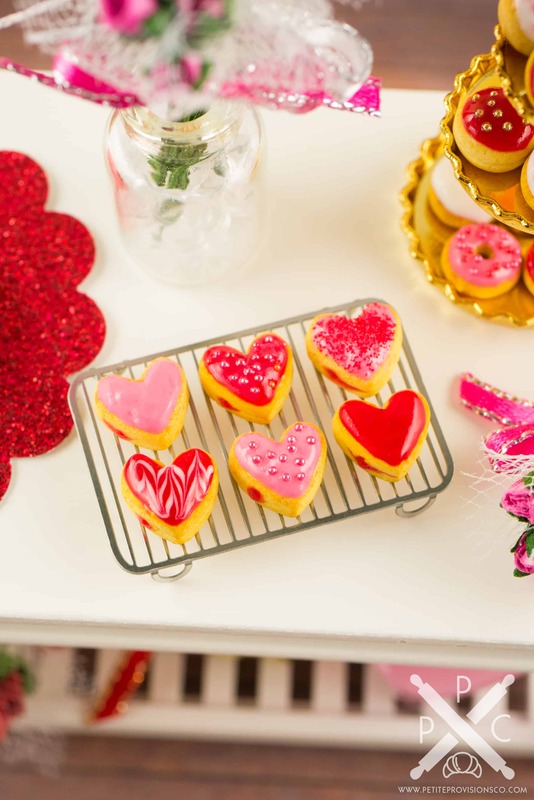 Dollhouse Miniature Heart Shaped Valentine's Day Jelly Doughnuts - Half Dozen - 1:12 Dollhouse Miniature - The Petite Provisions Co.
Valentine’s Day morning just got a lot sweeter! 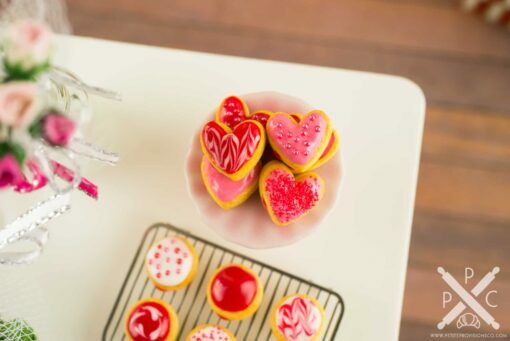 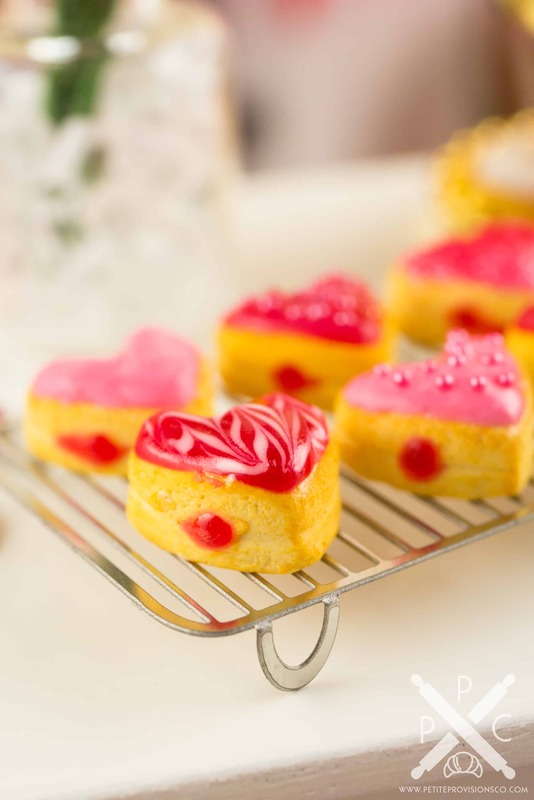 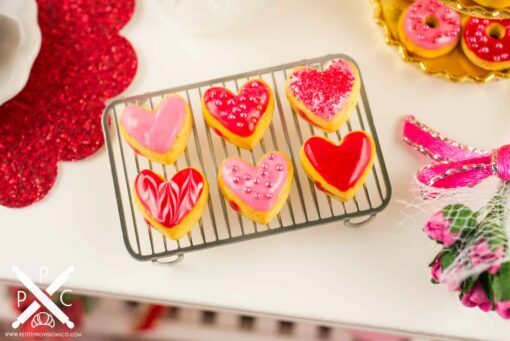 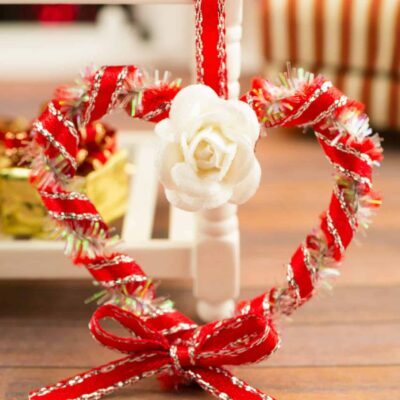 These adorable jelly-filled doughnuts are shaped like hearts and decorated for the holiday! 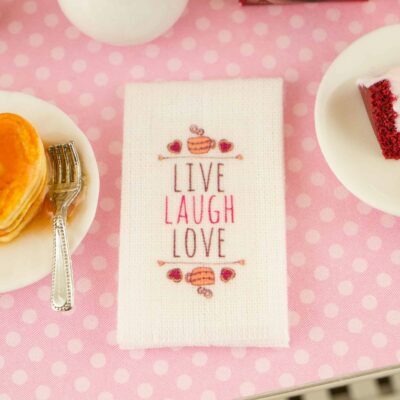 Whether you have a dollhouse or just love all things tiny, these wee doughnuts are too cute to resist! 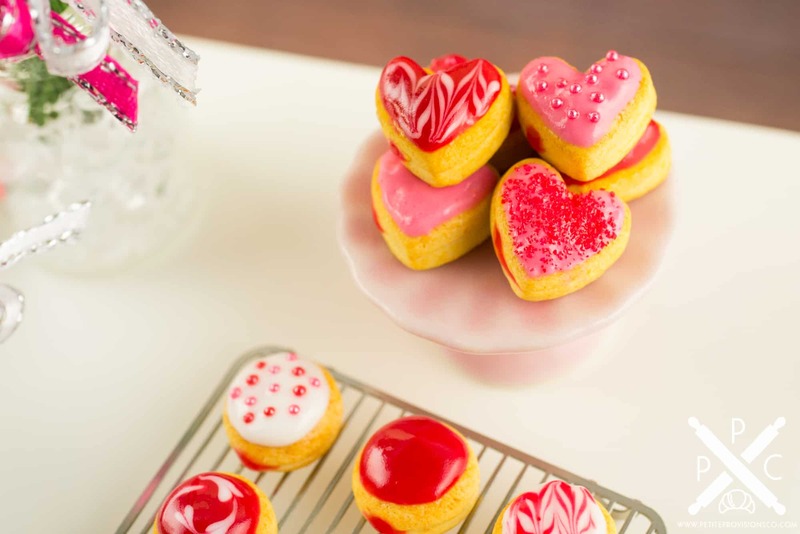 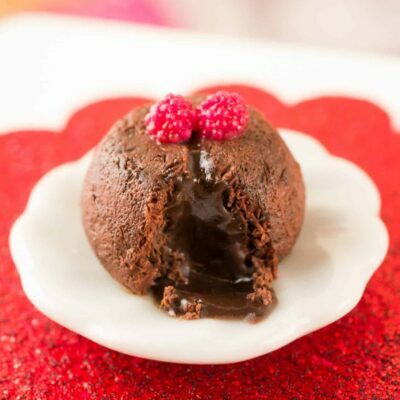 6 Valentine’s Day decorated heart-shaped jelly-filled doughnuts. Each doughnut is about 3/8″ in diameter.